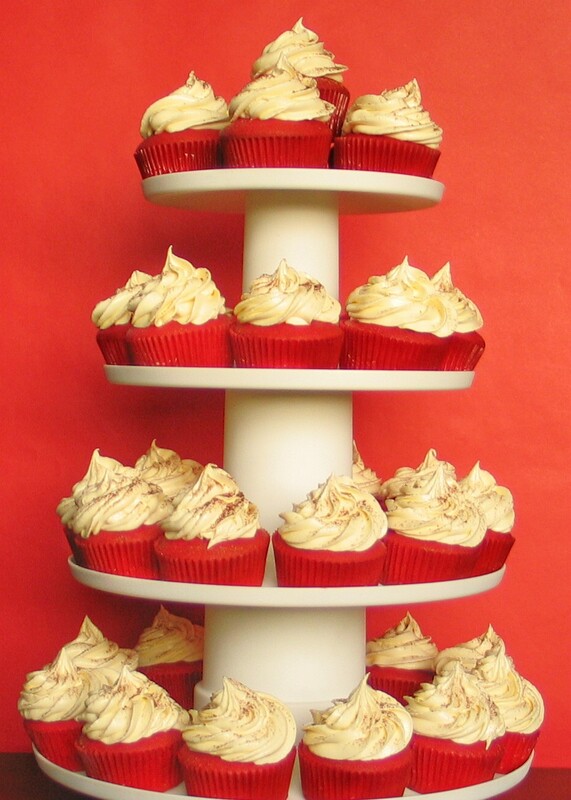 Instead of the usual cream cheese based frosting, I used white chocolate buttercream to frost these red velvet cupcakes. White chocolate buttercream holds its shape better than the traditional cream cheese frosting giving you a pretty rosette for your cupcake. A drizzle of powdered cocoa gives a sophisticated accent. 3. In a large mixing bowl, beat butter on medium speed for 30 seconds. Add sugar and vanilla; beat until combined. One at a time, add eggs; beat on medium speed after each. Beat in food coloring on low. I've stumbled upon lots of red velvet cupcakes in the past month but I haven't seen one yet using white chocolate buttercream. Sounds like a great twist on a classic recipe! Hi cuz! (hahahha! cuz na tuloy) How are you? This is a staple in our house and Australian's are not even aware of this. Maybe because cupcakes are from the Americans. I don't know actually. The wife uses cream cheese for this but I'll let her try the buttercream. This is definitely a better bigger way fo making a birthday cake, specially if you have a lot of visitors. I think I fell in love, they must be delicious. 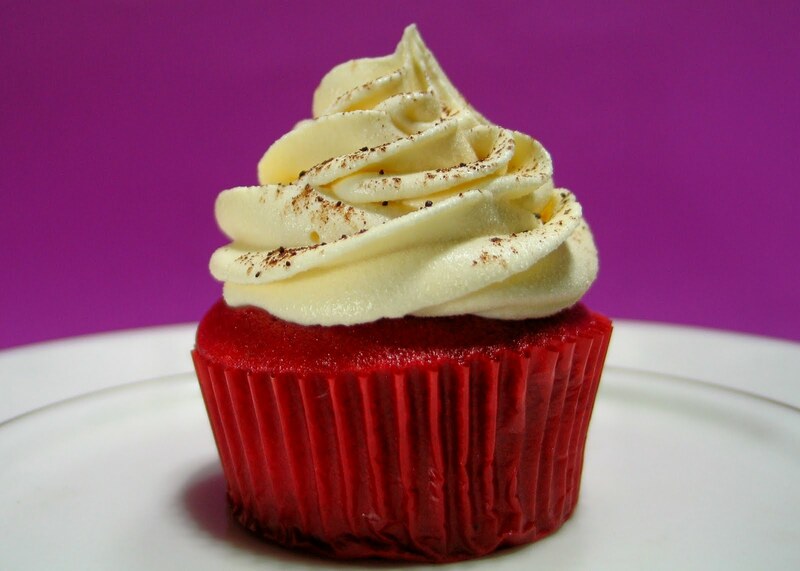 They all seems to be dehttp://nymuffin.blogspot.com/2013/08/red-velvet-cupcakes.htmllicious.